Amazing solutions for your windows - sun tunnels by Fakro! Getting sunlight into your home may sometimes be a very difficult task. 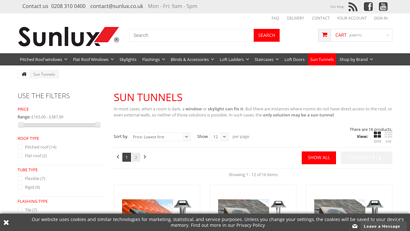 Luckily, the experts at Fakro have developed an incredible solution for this problem - sun tunnels can help bring in daylight to every corner of your home using a tunnel that passes from the roof to your ceiling, making light come through even the thickest roofs.